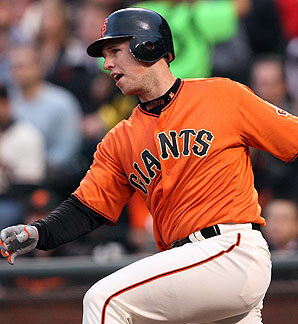 The San Francisco Giants are Northern California wine country's favorite team. So when they clinched their first division title in 7 years yesterday, cellar workers and winemakers paused briefly from an exhausting harvest weekend to high-five their sweaty, grape-stained hands. Lots of winemakers like the Giants, but Rob Davis of Jordan Winery has a special relationship. 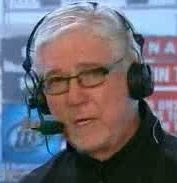 Davis once called Giants announcer Mike Krukow on his cell phone during a World Series game -- and Krukow took the call! Of course, as you'll see below, there's some debate about whether that phone call or Robb Nen's fraying shoulder really cost the Giants that Series. This post is a Q&A about Davis' Giant memories, but he's an amazing story on his own. On his 35th vintage, he's the only winemaker Jordan has ever had. 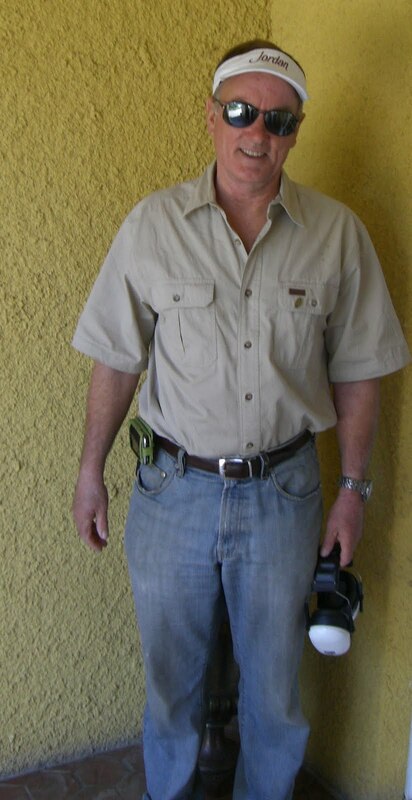 Tom and Sally Jordan struck it rich on an Indonesian oil find and bought the Alexander Valley estate. When they founded the winery in 1976, they asked Andre Tchelistcheff to be their winemaker. He said he was too busy, but said he would find them a good young winemaker and mentor him. Tchelistcheff went to UC Davis and met Rob Davis (no relation), who was tops in his class. Rob was hired for that first vintage and has been there ever since. And he's a triathlete who has so much energy he can barely stand still, so he might some day equal Tchelistcheff for total number of vintages. John Jordan took over the estate from his parents' accountants five years ago, and would be happy if I told you about what Jordan's up to these days. It's no longer making purely estate Cabernet, but is selling estate fruit that doesn't meet its standards and buying fruit from its neighbors to try to make better wine. Jordan makes only two wines: a Cabernet Sauvignon and a Chardonnay, and while it has rarely gotten top ratings from certain national critics, it has long been a sommelier favorite because the winery actually believes in balance rather than just paying lipservice to it. The 2006 Jordan Cabernet I had last week had just 13.5% alcohol and was almost as tasty as the third-to-second double play Pablo Sandoval turned in the 6th inning yesterday (hey John, try that on a shelf talker). When did you first become a Giants fan? My first audible memory was hearing my dad listen to the Giants on his transistor radio: Russ Hodges and Lon Simmons. But I probably became a Giant fan when I was playing Little League baseball. Our team went to Candlestick to watch the Giants play the Pittsburgh Pirates. Even as a kid, I remember Willie Mays running to make a basket catch. All of us who played the outfield in Little League tried to catch the ball like Willie. We discovered it was not an easy feat to do. Was it like your first great bottle of wine -- did you have an "aha" moment? My "aha" moment came much later when I was at Candlestick and the Giants were behind in a night game that was critical to their playoff hopes. Jack Clark ripped a rope over the left field wall to win it and everyone I was sitting next to starting high-fiving, hugging each other. I can still remember the sound of the ball off of his bat. Whack! One of the reasons why I advocate wooden bats over aluminum bats: the sound is so sweet. In that moment I realized how special an important event can be, shared with someone other than yourself. Who was your first favorite Giant? I loved watching Willie Mays (left). He wore a cap slightly larger than his head so when he ran down a fly ball, his hat would fly off, giving the perception of a great effort. He enjoyed the opportunity to entertain. 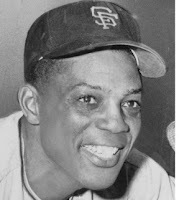 As I came to appreciate the difficulty of playing in Candlestick with the wind and the cold, I marvel to this day at the incredible athleticism of Willie Mays. But for my favorite Giant, I have to say Willie McCovey. The quiet grandeur and stature of the man epitomized the rarity of a great athlete who allowed his performance to call attention rather than his words. I still agonize over the frozen rope he hit to Bobby Richardson to make the last out of an incredible World Series with the Yankees. The fact that Bobby Richardson was playing out of position makes it even more difficult to accept. Who's your favorite Giant now? Buster Posey is the whole package: intelligent, patient at the plate, bats for power as well as average and has the aura of a player seasoned by many years, yet he is a rookie. His performance matches defense with offense. A consummate professional. Andre Torres would be a close second. I love speed in a baseball player: great fielder, fast on the bases and can hit for average as well as power. Right now he is having to make adjustments to the pitchers who have already made their adjustments to when he was hitting the cover off the ball. What's the best memory you had at Candlestick? So many. Sitting with my dad watching the game while he slowly chewed on black licorice. Watching Krukow win the 1987 playoff game with St. Louis. And of course watching Will Clark get his famous RBI hit with Kevin Mitchell on deck in the '89 playoff game with Chicago (off Mitch Williams), only to have that moment topped by sitting in Section 8 at Candlestick during Game 3 of the World Series when the earthquake hit. What's the worst memory you have of a Giants game? That's easy: 2002 when the Giants lost game 6 of the World Series with the Angels after having a 5-0 lead. My stomach still aches from that one. You're friends with Mike Krukow -- tell us a Krukow story. As we all know the 2002 World Series featured the Giants and the Angels and was played during harvest. When I got home Game 6 was still playing and when my wife told me the score, 5-0, with (Russ) Ortiz pitching well, I finally allowed myself to get really excited. After all, I had been waiting since 1962 for the Giants to be this close to a World Series win. I had the pleasure of dining with Peter Magowan at the winery and he shared his determination and wish that he could bring a World Series win to San Francisco. Many of the players -- Shawn Estes, Robb Nen, Armando Rios, Rich Aurilia, their trainer Stan Conte, along with their wives -- had visited the winery in 2001. So I filled a glass with wine and took it up the hill to listen to the broadcast. I called Krukow on his cell figuring that I would get his voice mail since he was broadcasting, and to my surprise he answers. We both are all jazzed and when I hang up, I walk back down to my house to watch the rest of the game on TV. To my amazement, I see Dusty Baker walk to the mound to take Ortiz out. I knew the relievers were exhausted and Nen was pitching on sheer guts since his arm no longer had the ability to deliver the fast sinkerball that he was known for. Also I knew the umpires were making the strike zone incredibly small, which caused the high scoring games. Ortiz was on top of his form. We all know the results. Tim Worrell, Felix (Rodriguez) and Nen couldn't hold back the Angels and the Giants lost by one run...and that was the Series. I couldn't believe how much that game affected me. Bart Giamatti is right: it is a game designed to break your heart. And yet we return in the spring to renew our faith once again. Krukow called me during the Christmas break; said he wasn't blaming me for the loss (baseball tends to have many superstitions, my call being a possible cause of the Giants downfall that game). I thanked him, wished him a merry Christmas, and then my stomach started to ache all over again. How many Giants have you shared a bottle of Jordan wine with? It is always a surprise for me to hook up with a baseball player that is so fond of wine. Rollie Fingers dropped in during a harvest and I wanted to meet him but I had a load of fruit show up. So I asked him if he wanted to help me sort fruit on our conveyor. He and his wife jumped at the opportunity. We all had a blast. Of course Krukow is a big fan and I helped him with a bit of his homemade Pinot Noir. He actually is quite adept at making wine. His first wine, a Zinfandel, was sensational. Tom Glavine of the Braves visited the winery and shared his approach to pitching the first few innings. Rich Aurilia is quite the wine fan. Orel Hershiser loves wine, especially Cabernet: really nice guy, even for an ex-Dodger. Ernie Banks and I shared a glass at dinner in Chicago. His most feared pitcher: Bob Gibson. Ozzie Smith is also a big wine fan. But my lasting relationship with Mike Krukow is very special. I really enjoy dropping in on he and Duane Kuiper in the broadcast booth before the game. Their enthusiasm and knowledge of the game is absolutely infectious. October is your busiest month of the year. What's the strangest place you remember watching or listening to a Giants playoff game? After the earthquake of 1989 that disrupted the World Series schedule, the remaining games ended up pitting the two best Oakland A's pitchers against the two best Giants pitchers, so the depth of the squad wasn't really exercised. With the A's up 2 games already, they won the third under a rested Dave Stewart and I watched the final out at Rusty Staub's on Fifth, in New York City, after pouring our wine at the Wine Experience Event. Katie Wetzel of Alexander Valley Vineyards was with me. She is a huge fan. She cried at the last out. I'm thinking, "How did I end up here to watch the Giants lose the World Series after sitting in the stands a few weeks ago?" I buy a case of our wine each year specifically to give as gifts to my friends or people who are big fans. I remember receiving a really nice birth announcement from a guy who liked our wine and wanted to name her daughter "Jordan." She was born in 1976. I kept the announcement and as the years quickly passed, I came across it and to my surprise saw that her 21st birthday was coming up: 1997. So I hoped that her folks' address had not changed and sent her a bottle of '76 from my personal cellar. Her thank-you note was so precious. And now I find friends of my daughter whose birth year coincides with an older vintage of Jordan from my cellar and I enjoy giving it freely without charge. I think it is better to give the wine to someone than sell it or drink it. So if you had 2 really nice seats to the World Series, I would try to purchase them. But if you have a special year that I have in my cellar, I would just give you the bottle. We both would enjoy it more that way. Unfortunately my cellar has shrunk to where I have less wine to offer. They swing for the fences and clear it easily. So fun to see your passions for wine and baseball come together in your blog. Glad your conversation with Rob spawned the idea. Here's that video I mentioned about John Jordan's mother telling the story of how the Jordans found Andre, then Andre discovered Rob: Click here. Awesome. I think Jordan's my new favorite winery, based solely on this blog. Go Giants!! As Kruk would say..."That's AWESOME!!!!" And now, 300% new oak! The Yankees are Bordeaux, the Giants are...?